Research in this laboratory uses the model organism C. elegans (a roundworm) to address complex molecular and cell biological questions that are often impossible to investigate using human cell lines or mammalian animal models. Rather than being focused on a single disease, the laboratory relies on a common way of thinking about biological problems and an interest in using model organisms to understand human biology. 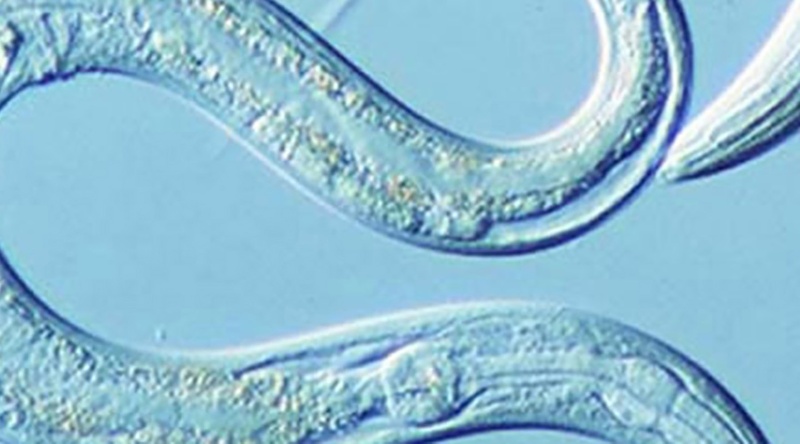 C. elegans is one of the most intensively studied organisms used for modern biomedical research. About 40% of its genes are conserved in humans, so discoveries made in C. elegans are often directly relevant to human biology and disease. Researchers use it as a model for a understanding many different aspects of human biology and disease states, including cancer, cell death, development, aging, infection, neurological diseases, and basic cell biology. Since 2002, 6 C. elegans researchers have shared 3 Nobel Prizes as a result of their pioneering studies using C. elegans. It is composed of only about 1000 cells, 300 of which are neurons. Every cell is identified with a name and the lineage of all of the cells has been determined. The connectivity of the nervous system (every synaptic connection) has been determined by EM reconstructions. It has a short generation time (about 2.5 days) and reproduces prolifically, with each animal producing about 300 progeny. It is easily cultured in the lab on culture plates containing coli. A single animal will produce about 60,000 grandprogeny in 6 days. It is easily manipulated under the stereomicroscope, where wire “worm picks” can be used to quickly transfer individual animals from one plate to another. It is a hermaphrodite, producing both sperm and eggs, so severe mutants can be maintained as homozygotes even if they would not be able to mate. Mutant strains are easily frozen, thus removing the burden of maintaining large strain collections. The animals are translucent, so fluorescently tagged proteins can be viewed in living animals.